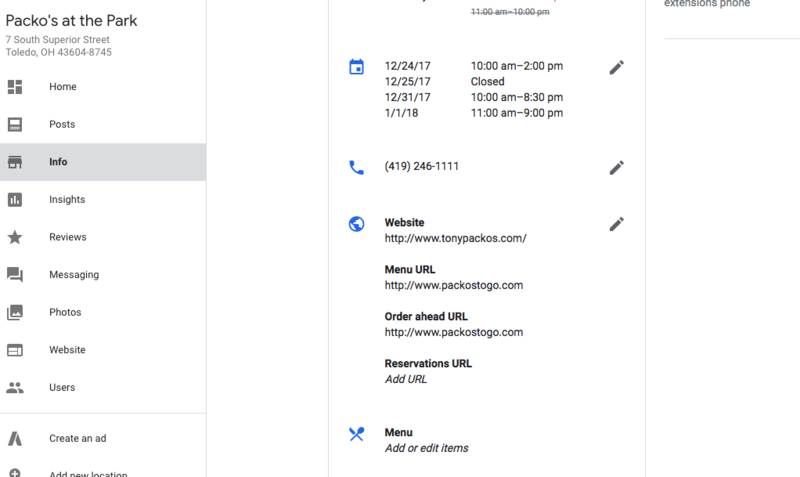 There is now a tab in the Google My Business (GMB) account that allows you to build a menu that Google would then use to display pricing. In short you can build your own menu for Google to use in the Search Results. If you login to your GMB account and scroll down the info tab, below where your hours, web address and the link for your menu URL, you will see a new section called Menu where you can add and edit your menu items and pricing. 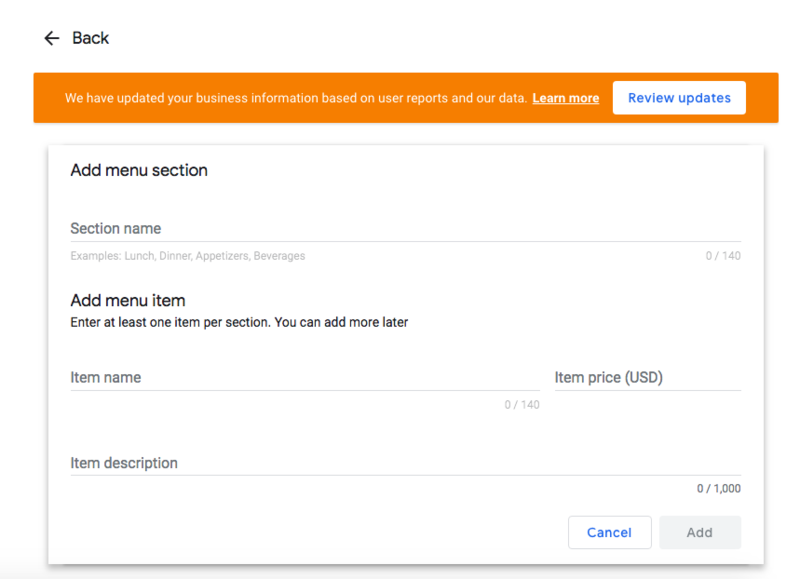 The Menu add or edit items is new this year in the GMB account for restaurants. Here is a screen shot for one of the Packo's locations. Menu editing is at the bottom. Simply click on Menu and follow the instructions for building sections and adding items and price. Now you can display the results you want from your menu!